The Alexandra Hospital has a rather unique demographic. Located in Ingersoll, just off the 401 nestled between Kitchener and London, we’re told the hospital’s outpatient services are used frequently by truckers. Recently hospital staff learned that the hospital lab would be closed to outpatients beginning July 1st. Local residents will instead be sent to the private CML lab in town. The truckers will likely find somewhere else to go. The Alexandra Hospital is feeling the pinch of the government’s decision to starve hospitals as part of what they claim is a realignment of services. Classified as a small hospital, the Ingersoll facility received a modest one per cent increase last year. That’s better than the zeros facing their larger counterparts, but not enough to cover ongoing cost pressures. Ingersoll would not be among the first of Ontario hospitals to shed outpatient lab services. They would be among the last. 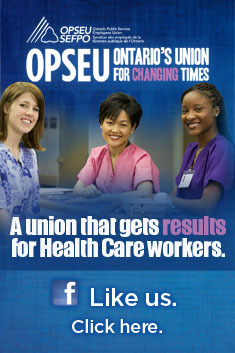 OPSEU has been notified of reductions in hours for some of its members as a result. The impact on labour will be relatively small, although any loss of work in a small town is a big deal. (It’s a huge deal if its your job.) Here’s the rub: while Alexandra may save a small amount of money by making this decision, it will likely cost the Ontario government much more.